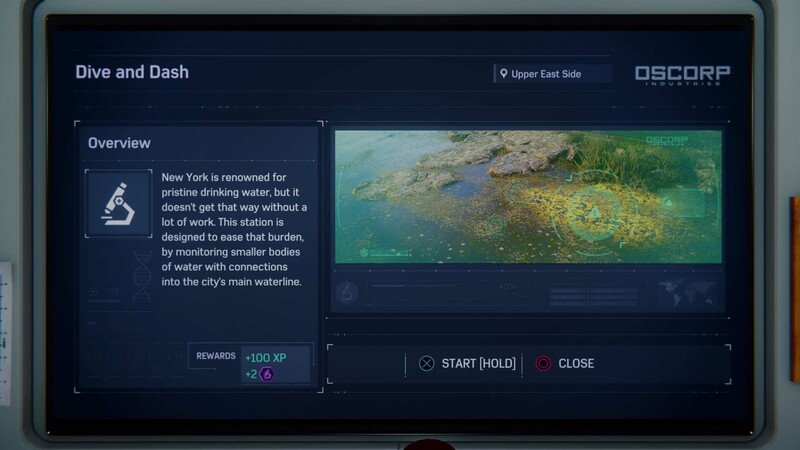 Follow the mission marker and get a sample from the lake. 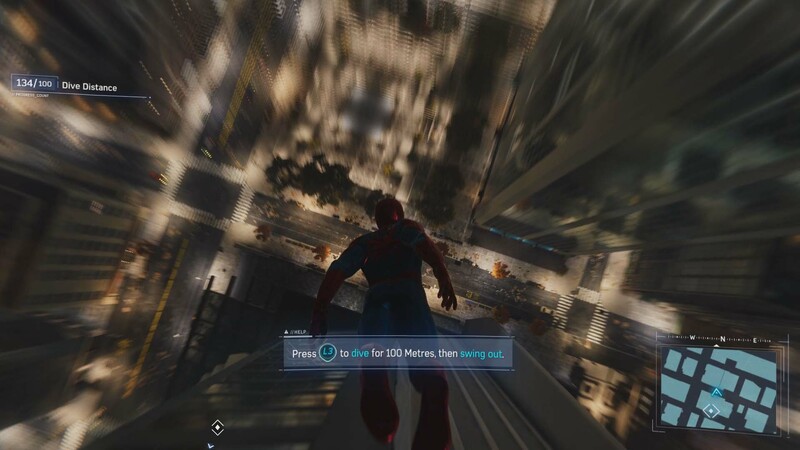 Then you have to climb a building that is 100m. The Oscorp building is to the south. Climb up. At the top, dive down. 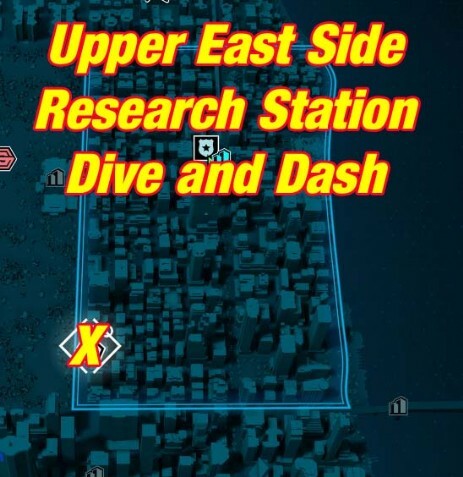 To the left, there is a marker, where you can see how far the dive took you already. Swing when reaching 100. Next is a dive from 250. 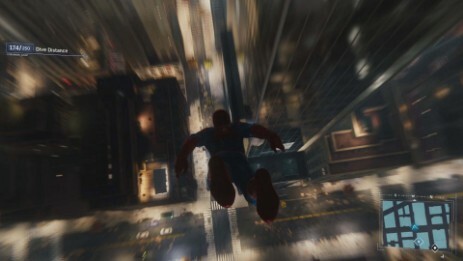 Get up the Oscorp building again, dive down till you've reached 250, then swing. Now go back to the water and get rid of the algae.